During our perfectly quiet and controlled clean-up time after daily 5 this happened. The bookshelf totally gave its life for us today. Thank you 15 dollar Wal-mart shelf. You almost survived a year of firsties….but not quite. Moving on because that is just what we did. We just pushed it to the side and kept going! 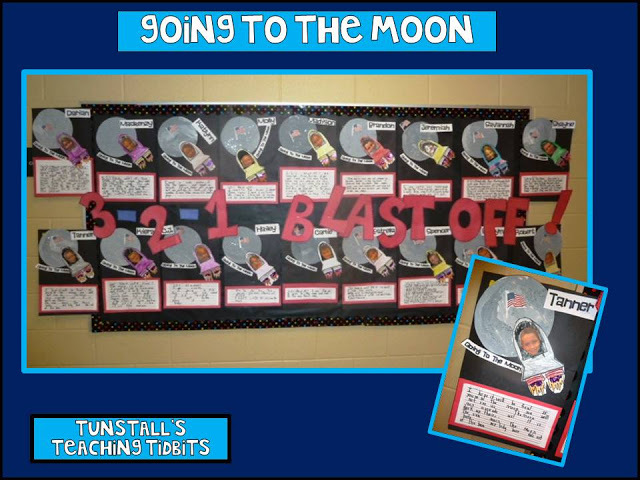 Next we continued studying the moon by making a list of what we would take to the moon. 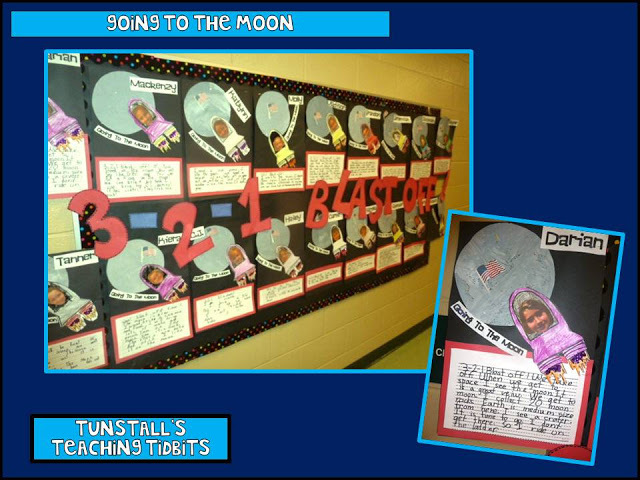 We wrote about our adventures on the moon then created an art project to display our writing and creativity! 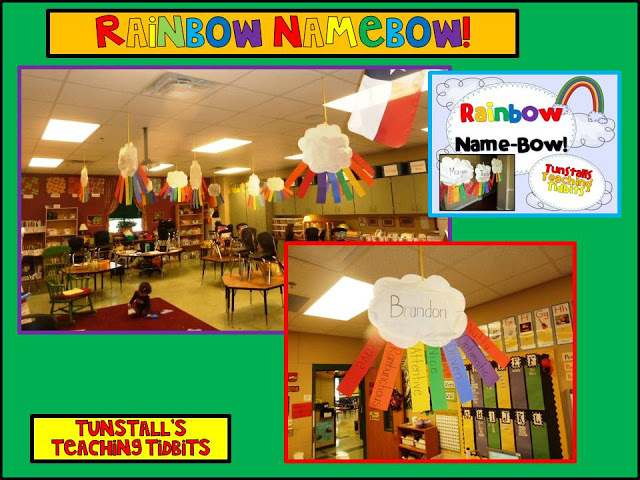 The acrostic Rainbow Name-bows have started coming in from home. An angelic parent volunteer graciously agreed to make the rainbow clouds for me! I hung them after school. I have about half of them finished so far and the room looks transformed! My angelic parent volunteer stayed in my room until 5:30 tonight and helped me clear out some major clutter, clean up a destroyed bookshelf, and set up for the April month change. I paid her in germ X, clorox wipes, and kleenex. I also loaded her kids up with candy from my left over carnival stash. If she needed blood or a kidney I would have jumped on the table and given her a plastic knife from my emergency- I brought my kid a sheet cake for their birthday but nothing to cut it with or serve it on- stash. 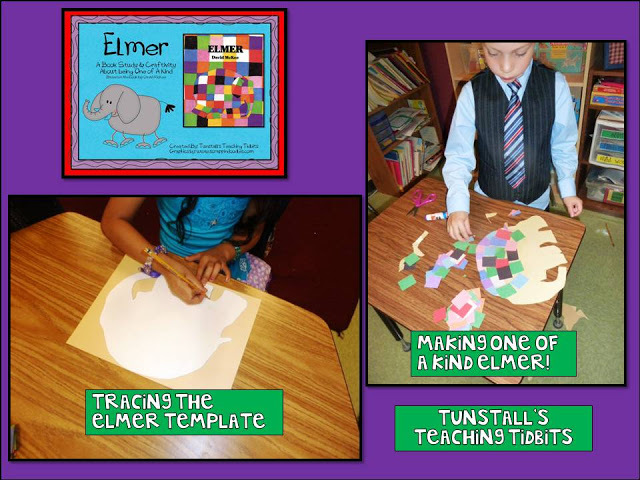 Kiddo making Elmer is dressed all SPIFFY! Wow! oh…it was also spring picture day! Thus the three piece suit! ha ha! I like your Moon Painting. I love when parents are willing to help! I had four great parent helpers today! 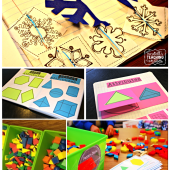 Your room is always adorable and so are your projects! 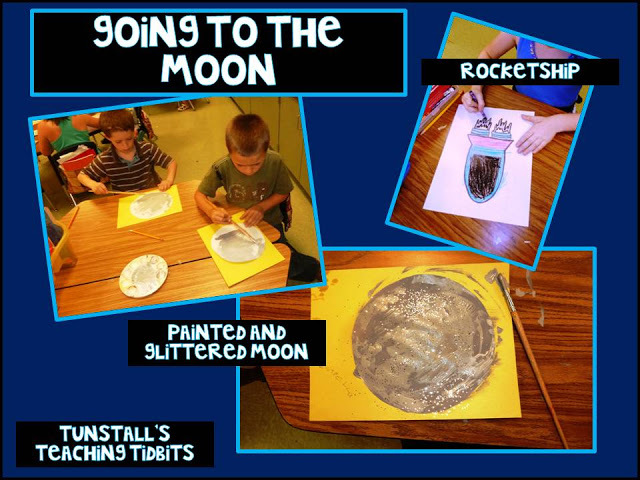 I am so doing that moon craft! I LOVE it!!! 🙂 And don't ya just love those parent volunteers!!! I do! Have a great weekend!!! I'm laughing because I have that exact same $15 Walmart bookshelf, and mine did the same thing. But I Liquid Nailed that baby back together and now it's like steel girders! Your space unit looks like so much fun! Yikes! That stinks about the bookshelf!! 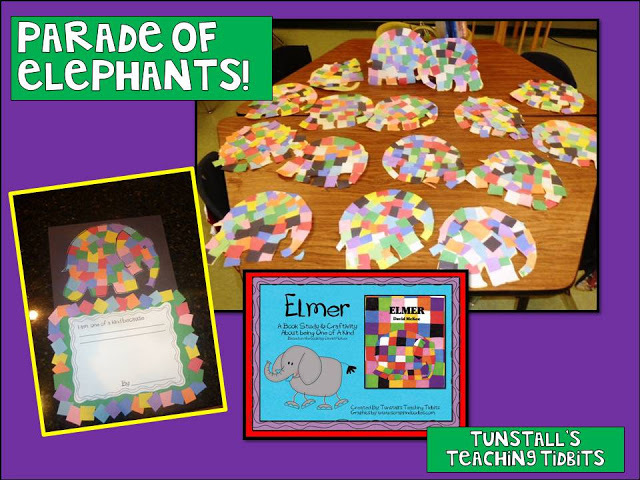 I got your Elmer activity ….we are going to do it right before Arts and Authors night!! LOLOLOLOLOLOL!!!! The book shelf giving it's life CRACKS me up!!! You are soooo funny!!! Ok, after this year I am totally quitting teaching and becoming a full time student in your classroom. I am quiet when I need to be and love crafts. I promise I would follow the rules…..You do the funnest (word?) 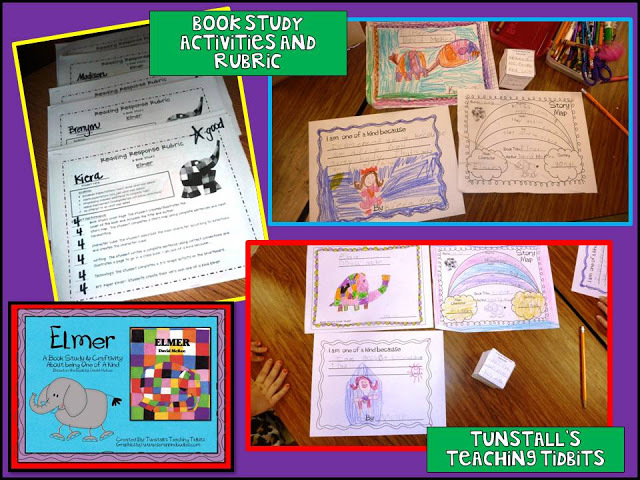 stuff and my poor kids are suffering through test prep and test prep and oh yeah…..test prep! 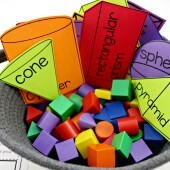 9 teaching days and the heavy state assessments drop….no fun or crafts:( WAAAAAA! Ok, back to me joining your class…..I will need a bigger chair than the others (don't judge….I'm dieting), I can sit next to anyone who picks their nose…I gag very easily and that makes me gag! My eye sight is going so I'll need to be close to the front….that's it:))) Please can I be in your class!!! Holy crud!!!! I meant I CAN'T sit next to nose pickers….CAN'T!!! Too late I put you right next to one! Can't wait. I may have a teacher's pet situation on my hands…oh dear! Laughed hard at need a bigger chair- don't judge! We can diet together! I have a bookshelf from Walmart that is doing the exact same thing, except in slow motion! 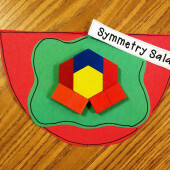 Now that I see what's to come, I better get in my classroom to fix it! I LOVE your Elmers!! Too cute! You are a hoot! Poor little bookshelf. Did y'all have a moment of silence for the shelf? Yes we did! I almost wrote it into the post…then I thought I was having too many moments of silence. Thanks for posting photos. I had downloaded the Going To The Moon pages and they got lost on my desk. Now I have a visual to remind me to get it done. I lost mine on my desk too and had to reprint from my blog. ha ha ha. I have that same bookshelf — I worry about it all the time! Your space stuff looks like so much fun — we are not "allowed" to teach it. It's not in our standards (is it in the Common Core?) and Kindergarten and Third Grade Teachers do it. Waaaaa. 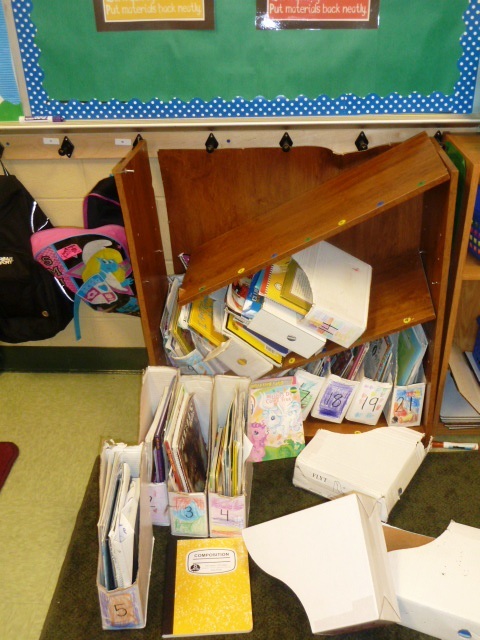 Your room is always cute…broken bookshelf or not. 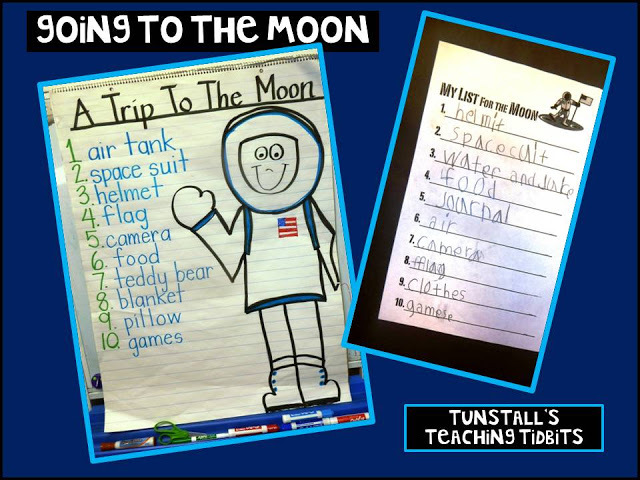 Like Kristin, we are not allowed to teach space anymore either…. but I love it! Your rainbow names look adorable! Your poor bookshelf! That would have made the whole day a waste for us…. haha! 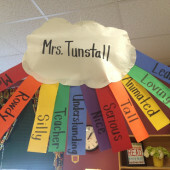 Love the rainbow name-bow idea!! and RIP Walmart shelf! I sent the Rainbow Name-bow home on Monday. 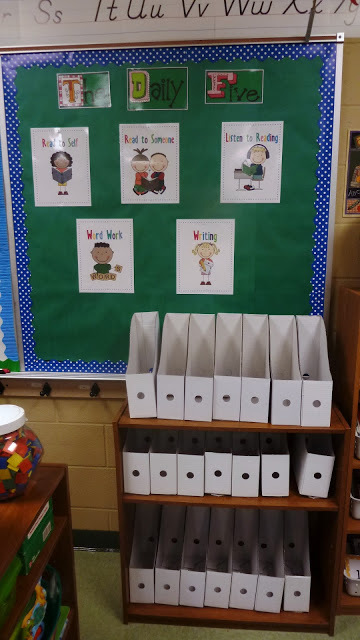 They have to turn it in tomorrow and I will work on them over Easter break! I have 8 done already (yeah for those turning them in early 😉 They are SOOOOOO CUTE!! I love them!!! Thanks for the idea! !